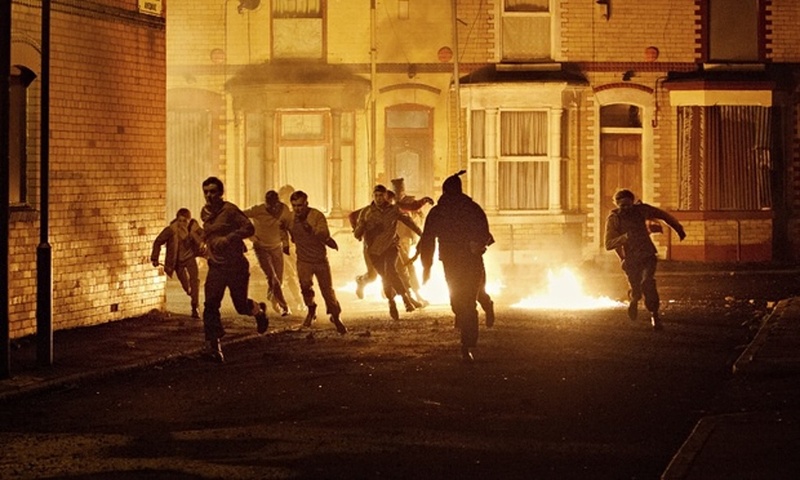 Its Belfast Northern Ireland, its 1971 and ‘The Troubles’ are at their peak. Part religious rivalry and part political where generally the Protestants want to remain part of the United Kingdom and the Catholics are looking for independence from British rule. The main participants on the republican side are the Official IRA and a younger splinter group the Provisional IRA; on the loyalist side are the UVF and UDA. We also have Royal Ulster Constabulary who tend to support the loyalists and the British Army who are there to represent the Unite Kingdom. At the same time the British establishments ‘legalised killing squad’ The Military Reaction Force, are hard at work with their indiscriminate bombings and killings, employing double agents working from both sides of the paramilitary divide. Into this violently explosive situation are sent young rookie soldiers with very little experience of real life let alone of what is extensively a bloody civil war where even children and women are part of the on going conflict. 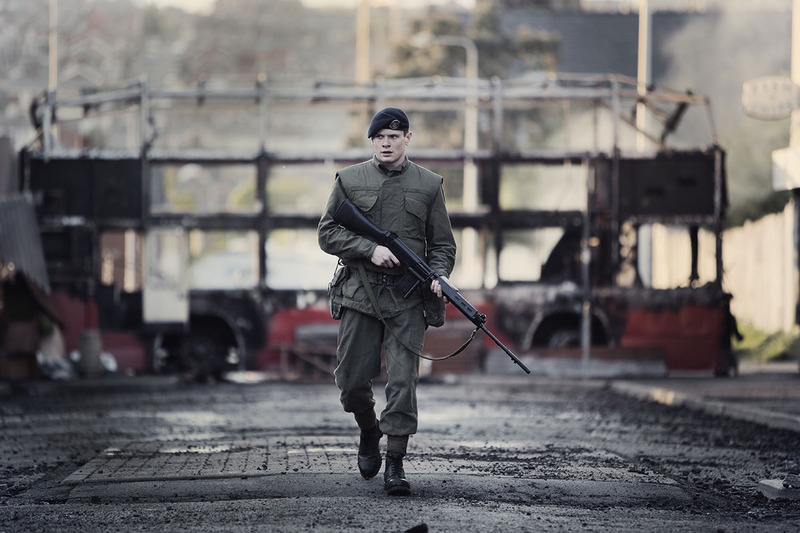 ’71 (2014) tells the story of one such rookie, Gary Hook who shortly after arriving in Belfast is sent out on a mission to protect the RUC’s dirty work and during a riot gets separated from his unit along with another young soldier who gets shot and killed. Hook, abandoned to his own devises unequipped to tell friend from foe and unable to find his way back through the hostile streets to his base, begins to grasp the intricacies of the struggle. 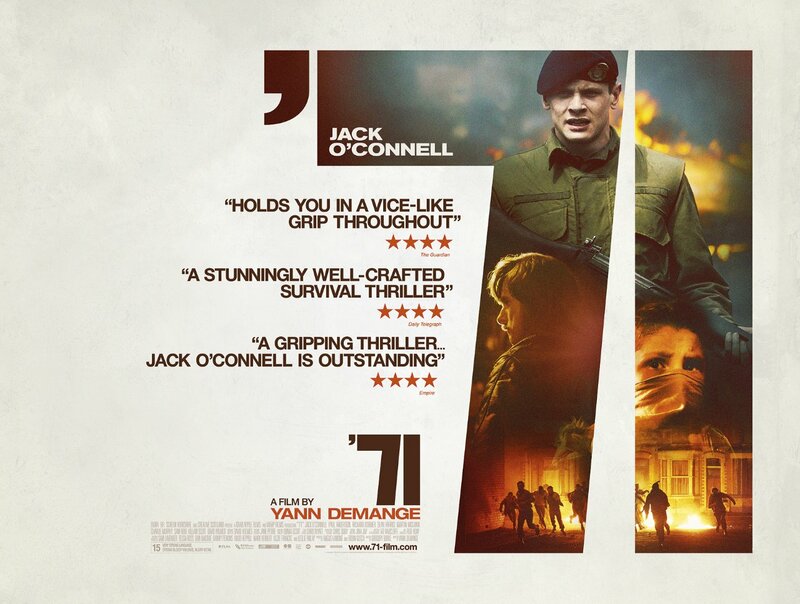 Written by Gregory Burke, who is best known for his theatrical play Black Watch and directed by Frenchman Yann Demange, whose debut feature film this is, the movie stars Jack O’Connell in the lead role. O’Connell is a an actor who gets better with every new film for example Tower Block (2012) and the award winning prison drama Starred Up (2013) are two movies to sample if your not familiar with his work. This latest rather gripping and intriguing movie, that up front has a basic ‘lets get home through enemy territory’ narrative, but goes a lot further and give’s us a glimpse in to the underhandedness of the British Government. Its certainly hold’s up its head along side other interesting drama’s that have involved Irelands recent troubles including Fifty Dead Men Walking (2008) and Shadow Dancer (2012).